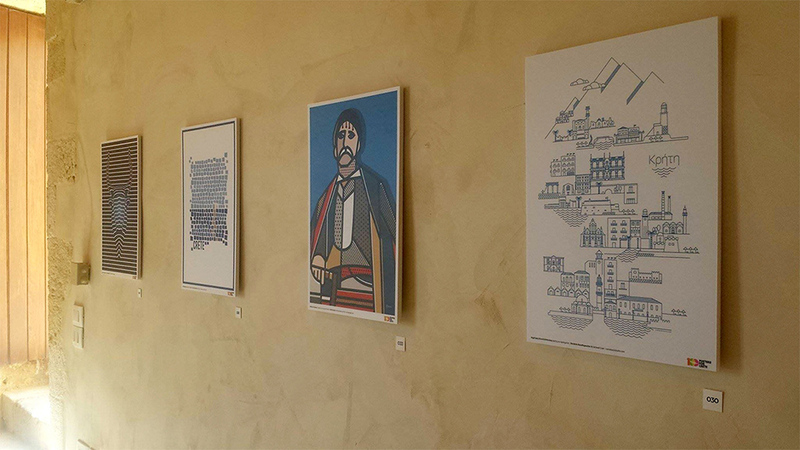 We took part in this amazing poster exhibition “100 posters for Crete”, that had two main goals. To promote graphic design through an “artistic” level. 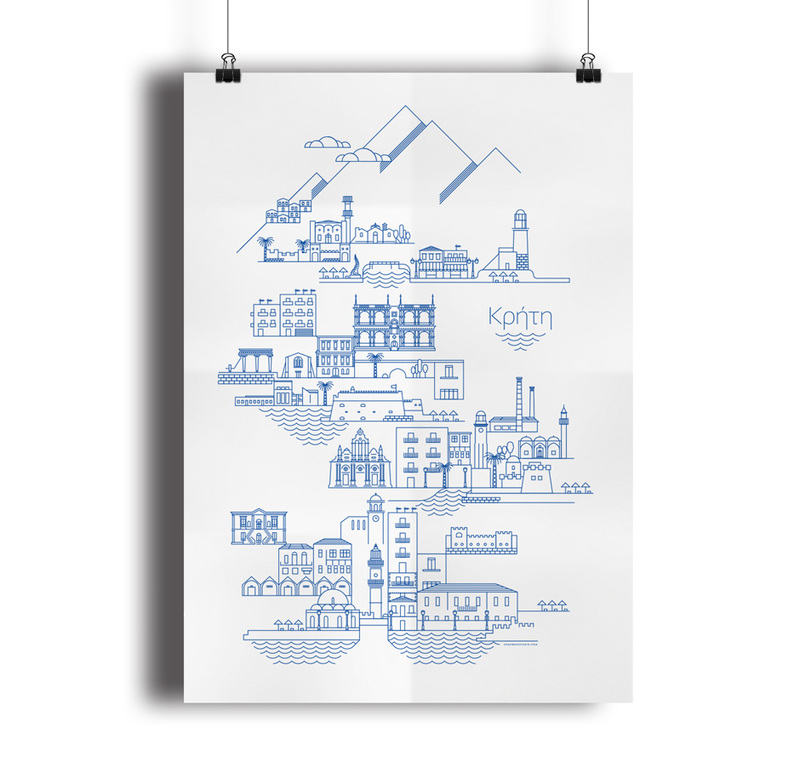 To give a chance for graphic design to become something worth seeing in Crete and become a reference for tourists, and locals to visit. Also to help via the materials that were sold during the exhibition two NGO’s (elepap and orizontas) by gathering in the end a significant amount of money. The exhibition took that place in the great Firka Forthress in Chania, opened at the 17th of July 2017 till the end of August. More than 8.000 visited the exhibition and 1.700 posters were sold. 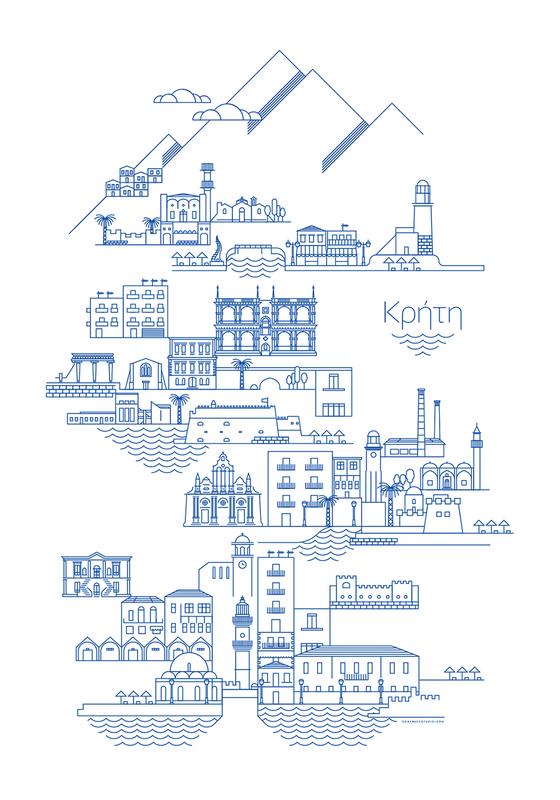 Our poster is an linear representation of some of the most significant buildings and places you can find while visiting Crete. You can navigate from the bottom to the top, starting from Chania, Rethimno, Iraklio, Agios Nicholas, which are the 4 biggest cities in the island. Through the architecture we can realise some of the rich history of the island.